You must make reservations at least 5 minutes in advance of the time at Davio's- King of Prussia. Davio's offers a full menu & full service staff for catering. Please email lynn@davios.com for more information or call 610-337-4810. Please email Lynn@davios.com for additional information or to book a party or call 610-337-4810 and ask for Lynn Kennedy. In 1985, at the young and ambitious age of 24, Chef/Restaurateur Steve DiFillippo purchased a locally-owned family restaurant called Davio’s, on Newbury Street in Boston’s trendy Back Bay neighborhood. As Boston’s culinary tastes evolved, DiFillippo transformed the location into a dining destination for locals and visitors alike. He moved the restaurant to Arlington Street in Boston's Back Bay and retooled the menu, the space and the wine list. The new Davio’s soon garnered rave reviews and has been a staple in the Boston restaurant scene ever since. Everything at Davio’s is handmade using only the finest ingredients, prepared fresh daily. 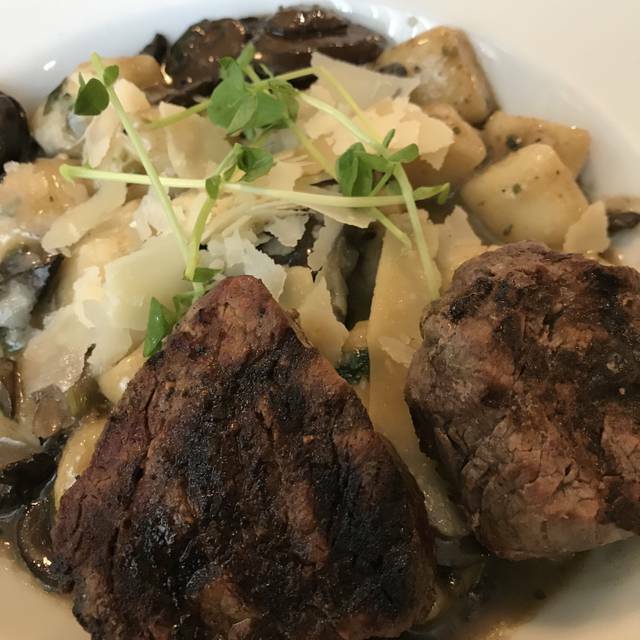 We serve Brandt Beef Steaks, simple-yet-unique pasta creations, the freshest seafood as well as our classic dishes. We have mirrored our philosophy in the kitchen with our expert and attentive staff in the dining room, seeing to our guest’s every need & taking pride in their enjoyment of their meal. At Davio's, it's all about the guest. We will be open from 10 am - 9 pm on Mother's Day serving our Dinner menu all day in addition to Brunch Features from 10 am - 2 pm and Dinner Features from 2 pm - 9 pm. We look forward to seeing you to celebrate Mother's Day with us. Not happy with service or portions for the price. Server lacked luster, we had friends dining at the same time that were provided much better service. I will not return. Food was excellent, although a bit on the expensive side. Service at the bar for drinks before dinner was very good. Service at the table was good but not great considering the cost of dinner here. Where do I start? Most importantly was the food and it wasn’t good, didn’t taste good except for the calamari, that was good. Our server had a huge attitude, I was looking for bottles of wines and he insisted that I choose the wines with the higher price!! Please stop it!! I’m not going to pay $400 for a bottle for just a dinner with a friend! Then I decided I’m not going to get a bottle at all, so asked for a glass of Cabernet and mentioned the name of the it, he then freaking made it look like I chose the other more expensive glass, no I’m not paying $25 for a glass, I’m happy with what I chose! I hate when they do that!! I’m familiar with wine and have dined a lot so I know when these tricks occur. The food was outstanding. The service was good but not great. Which would have put it out of the park. As always Davio’s never disappoints! Great food, great service. We had a wonderful meal and our server, Marcy, was great! Our weekly Friday family meal is Davios. Always amazing food and service. We love it. 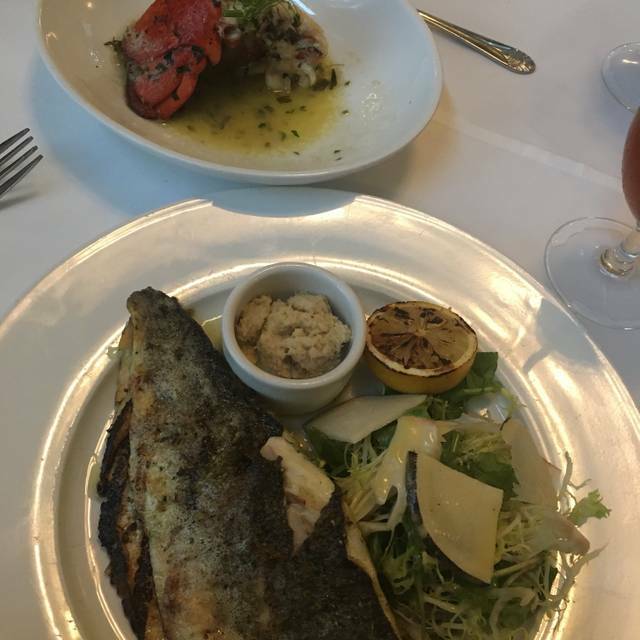 Avoid the lobster risotto— mine was overlooked and rubbery lobster. Very nice place, I just should have ordered something else. Dining partner enjoyed steak, but nothing special. Always excellent. Perhaps a bit overpriced but nice for special occasions. Excellent service. Very good wine. and the noise level was okay because the place was half empty. Great place for business lunches. Relatively quiet, great food, great service! Great wine and food but our server was not Davio’s quality at all which was disappointing. Overall great experience. Went with a group for a business dinner. Nice ambiance, medium level noise - we were able to hear each other comfortably. Great service, extensive menu for any dietary preference. All courses were beautifully presented and delicious. We had a variety of foods including octopus, oysters, chicken, and scallops. Everything tasted very good and cooked just right. And portion sizes were good. It was difficult to choose desserts because all options presented looked really good. Settled on Cream Brulee and Tiramisu and were not disappointed. We had a bottle of Zinfandel wine. Though expensive, it was very good and well balanced wine that everyone enjoyed. Our waiter, Chris was spot on with his recommendations! Service was great. Food was awesome. 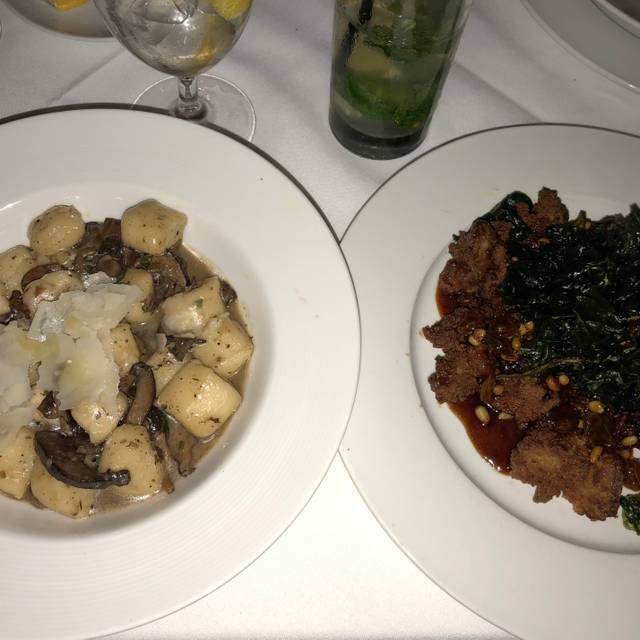 Gnocchi was out of this world. Really enjoyed everything! Great food, great service, great ambiance! I will return! 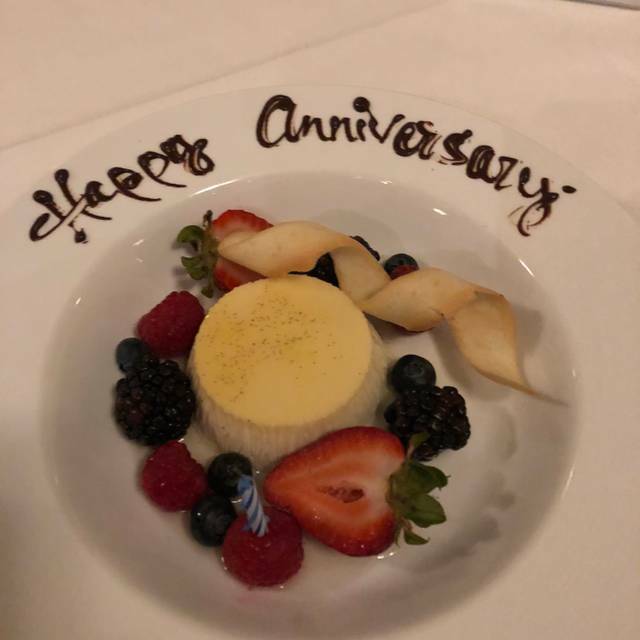 I have dined at davios in Philadelphia many times and it was always a favorite. I have been to lunch twice at KOP and enjoyed so when I was planning a girls night I suggested davios KOP. I was very disappointed in the food. One of the four had an ok veal chop but the other three dishes were very disappointing. My pasta dish (which I added shrimp to) had no flavor. My sister’s risotta was dry and my nieces gnocchi was awful. She didn’t even eat it after first bite. Service and ambience were awesome but reluctant to return. 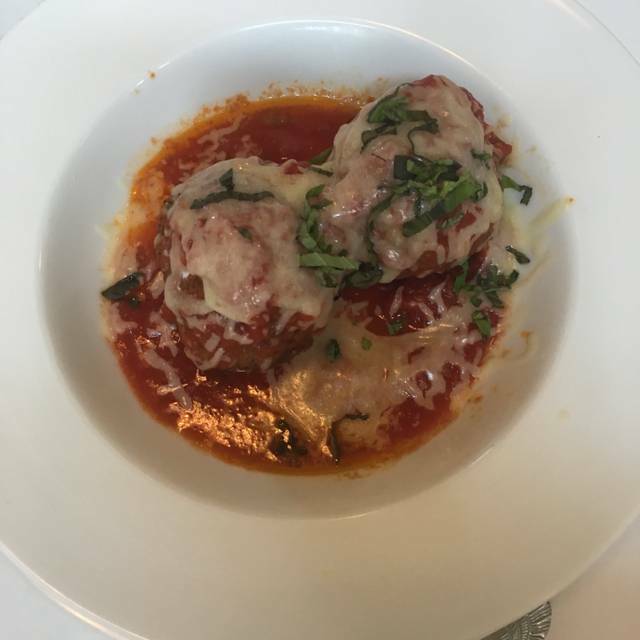 Visited Davio's for the first time on 3/31/19 for lunch. The atmosphere and the service were outstanding. My wife and I both raved about the food and the presentation. You can easily see that Davio's takes great pride in their restaurant. 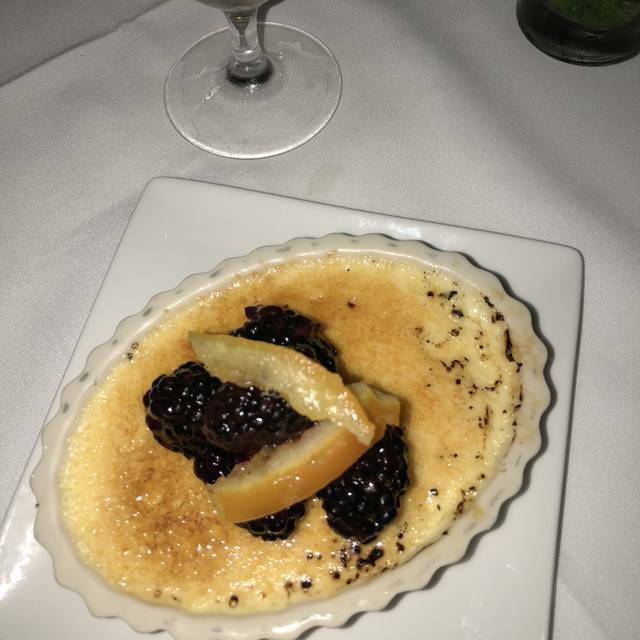 We have already recommended Davio's to our friends and family and we will definitely return. Food amazing, service top notch, will definitely come back again!! We were not impressed with the appetizers. Spring rolls left a little to be desired and the crabcake on the menu said it would be jumbo lump and it was like a small burger size and not flavorful. The steak was amazing and so was the warm goat cheese spinach salad. The sides did not come out with the steaks and had to wait a while . Was a little disappointing. Slow service. Definitely on the pricier side, but the food was outstanding as was the service. I would definitely consider returning for special occasions. 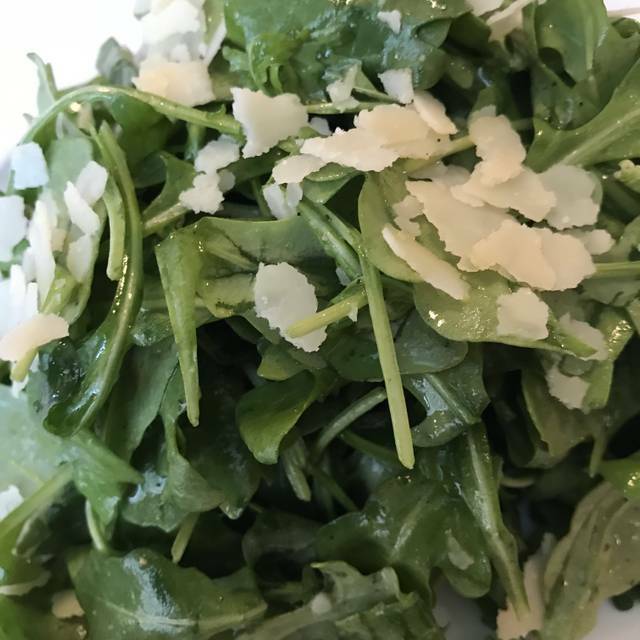 Although I rarely write reviews for restaurants, my disappointment in our dining experience at Davio's made me reconsider. While we had no issues with the ambiance and food that was served, I was less than impressed with the service and accommodations for those with food allergies at the restaurant. Our son has a dairy allergy, and while it has never cause an issue at any other restaurant we have dined at, this was not the case at Davio's. When served bread with cheese at the start of the meal, we explained our situation and asked if there was alternate bread for our son. We were abruptly told, "No," without any other options being given. We've never been to a restaurant that did not have some type of alternative bread option. When choosing appetizers, the only non-dairy option was calamari which we were sure our teenagers wouldn't like. 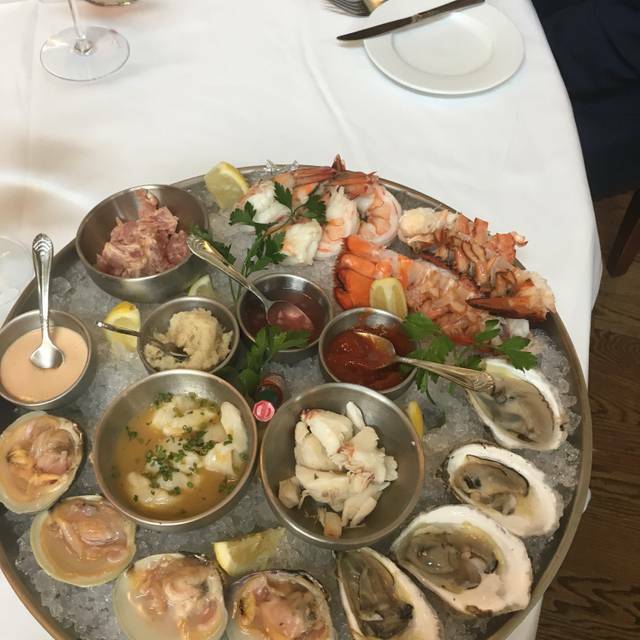 Deciding to skip the appetizers and opt solely for the main course, our waiter pressured us to order an appetizer saying that we were going to be hungry since it would take the food a long time to come out, and that we should get the calamari. We declined the appetizer and were then ignored until the main course came out. Our waiter never came back to check on us or refill our drinks. What we thought would be a nice dinner out for our daughter's 16th birthday, ended up being a disappointment. It was definitely not the dining experience we had hoped for, especially considering what we paid for the meal. Excellent! It was a great night out. Service was great. Food was delicious; however, it is a very noisy restaurant. My first time at the KOP location. I have been to the Center City Philadelphia location many times. I prefer the Center City location to the KOP location. 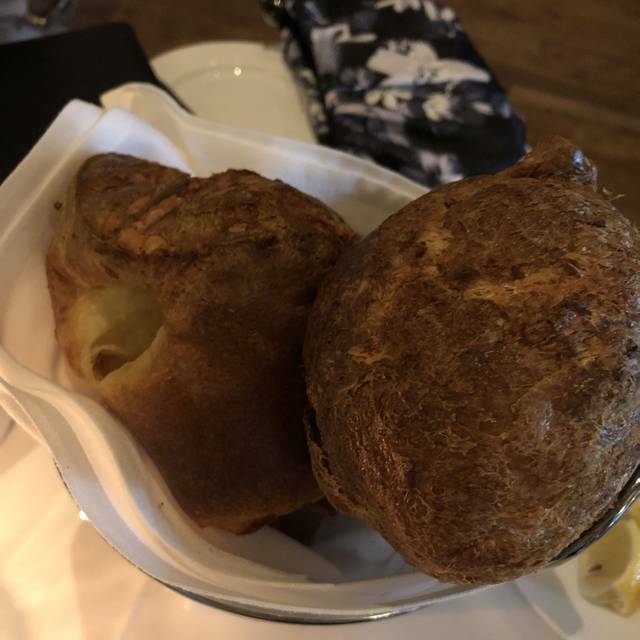 Although the food quality was similar, the service at the Center City Philadelphia location is much more professional and the restaurant is not as loud. That said, the food is terrific at both locations. The overall experience was very good. It was my first visit, hosting a lunch with close friends and nobody had a particular complaint. Our orders ranged from a brunch item to filet, dessert and bar drinks and everything was prepared correctly and as expected. It was nice to see the bartender wasn't shy about a longer pour than many places. I must also say our server (Anne C.) was absolutely fantastic! The only reason I didn't go "5 stars" is that I reserve that for when I'm completely blown away. Davio's was definitely a positive experience, and I won't hesitate to go back. Great Sunday brunch spot. Bloody Mary’s are delicious. The restaurant was too noisy. Felt like everyone was sitting on top of each other. Waiters had to squeeze between the tables to get your order. Felt like we were eating in a food hall . We made reservation but when we got there, we had to wait to be seated. The waiter was nice but the waiting time was long....at least they give bread and butter which was delish. The food was good and the waiter was very informative for a newby like myself. I hope to go back but at a different time. And also the location is fantastic. Great Food and service I recommend the restaurant to all. Excellent service. Food was amazing. Can’t wait to go back!